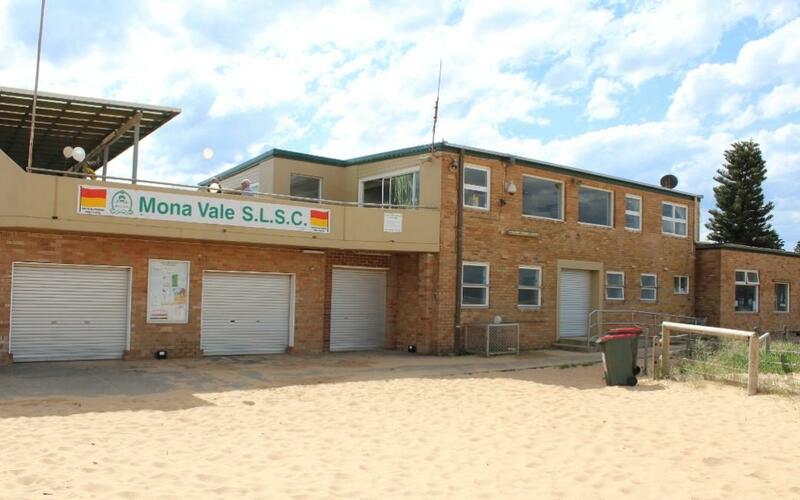 Great news this week with the announcement from Rob Stokes that funding to renew Mona Vale SLSC has been secured means the beach patrolled by volunteers, the beach many out of area people flock to once they've driven down Mona Vale road, will have a clubhouse to benefit these thousands of annual visitors and the local community. In 2015 Pittwater Council identified the need for a new facility and resolved to progress the building of a new clubhouse on the present site. Four months ago the administration council invited feedback from the community on a design concept, hosting drop in sessions at the clubhouse during June. Part of this was also an invitation to be part of a working group that was selected in August 2017 and includes 11 members, appointed to represent the following segments of the community: Mona Vale SLSC Exec Committee, Board Riders Group, Resident Group/ Local Business, Local Residents, Surf Life Saving Sydney Northern Beaches, Key user/hirer (? ), Bronze Café. At this stage, the new building will remain in the location of the existing facility. The facilities proposed include, but are not limited to, equipment storage, gym, restaurant, public amenities and changes rooms, function area, lifeguard room, office and a first aid room. The new building floor area is proposed to be in the vicinity of 1400m2 and is proposed to have two storeys with lift access. There will still be a commercial space for the café. The construction works are proposed to commence in mid 2019 with the key stakeholders involved for the duration of the project. Council's Capital Works Program includes an amount of $1,140,000 for the 2017/18, 2018/19 and 2019/20 financial years. The view over Mona Vale Beach. A J Guesdon photo. 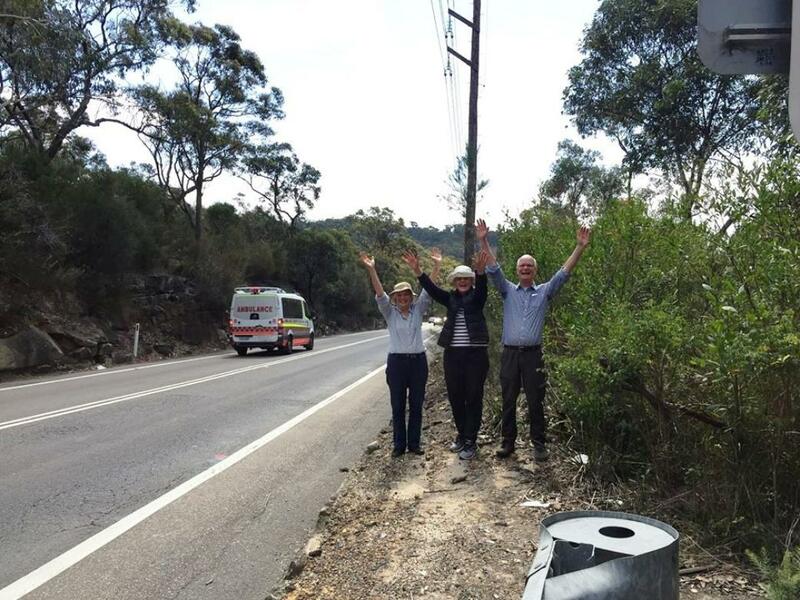 The Pittwater Natural Heritage Association (PNHA) fauna crossing project team celebrate confirmation that Roads and Maritime Services will build a vegetated fauna bridge on Mona Vale Road East. The road will be fenced so that animals are guided to the bridge, reducing road-kill. Jumping for joy are David Palmer with Jacqui Marlow and Marita Macrae. Lynleigh Greig, and WIRES folk - this will cut down on your work. The fight to recover Pittwater Council will continue despite elections going ahead last week for Northern Beaches Council, campaigners for the return of the former council say. Protect Pittwater Association president Bob Grace said the group, set up to recover Pittwater Council, had collected more than 1,000 signatures during pre-poll and on election day. Mr. Grace, a former Pittwater councillor, said the election on September 9 for Northern Beaches Council would not stop the movement to regain Pittwater. He was joined by Save Our Councils Coalition President Brian Halstead collecting signatures outside the Avalon Recreation Centre booth on election day. “We ain’t going away,” Mr Grace said. “We are now stronger than ever - with so many signatures gathered during the election and more and more people wanting to join the action to recover our council. 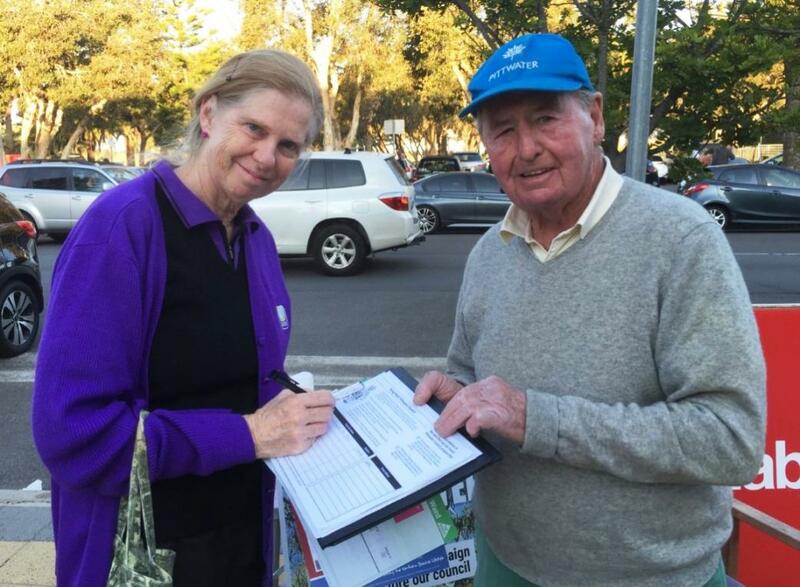 Another former Pittwater councillor Sue Young, said she and her husband Tony were joined by other community members at pre-polling in Mona Vale during the two weeks before the election, talking to voters and gathering signatures. “What upset most people was that their views hadn’t been considered (by the government) before the merger and they were concerned about the size of the new council and prospect of overdevelopment,” Ms Young said. Avalon Beach Women's Bowling Club Members - these Ladies prepared and served a great lunch for Koala Carnival 2017. A J Guesdon photo. Avalon Beach Bowling Club is situated on Bowling Green Lane, just behind the RSL club. The Club was formed from the nucleus of Palm Beach Bowling Club which had ceased in 1957. The Inaugural Meeting was held on September 11th 1957, 60 years ago on Monday of this week! 'Koala Day' 2017, held on Monday September 11th, - this year being the 43rd Koala Carnival, is an annual early Spring competition hosted by the Avalon Beach Women’s Bowling Club that brings together Ladies from all over the peninsula and further afield. 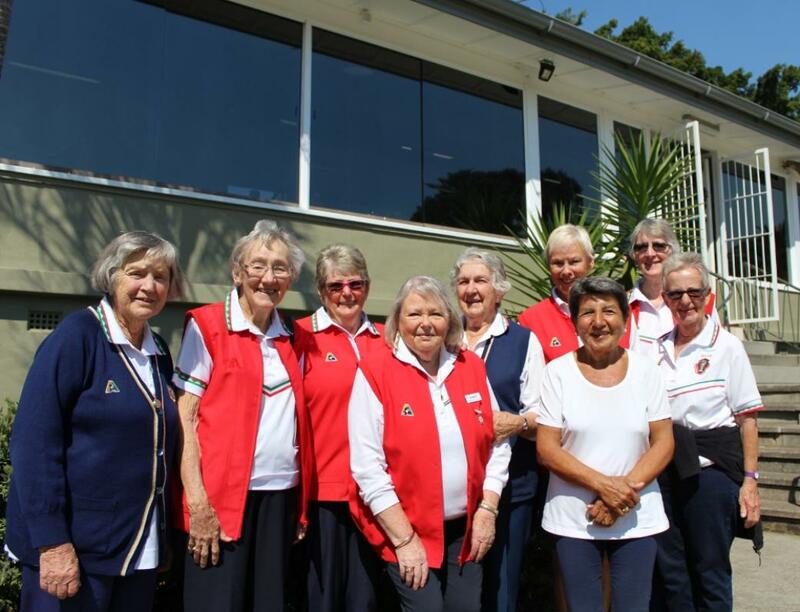 "We have 88 women from 9 clubs playing this year," Bo Hanmer, President, Avalon Beach Women’s Bowling Club, explained on Monday. " 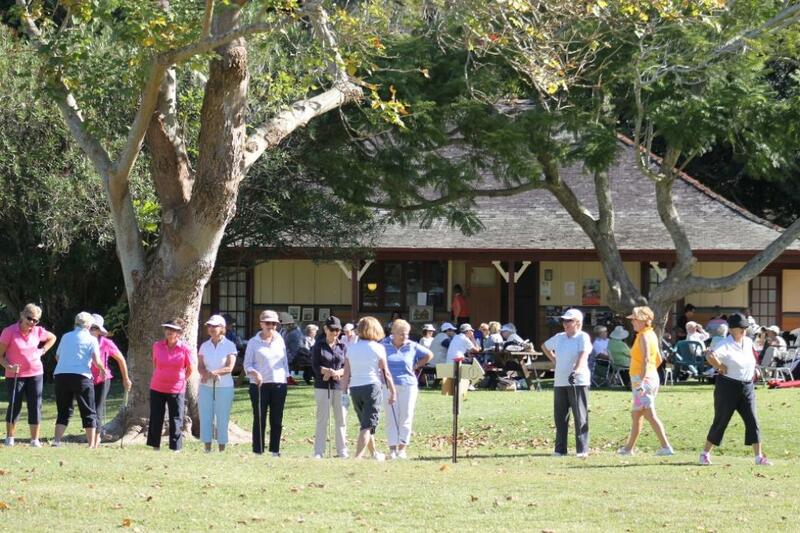 The Koala Carnival raises funds for the Club and its a lovely day, a great get together for Women Bowlers." The Carnival, sponsored by Ann Wilson Funerals for the past few years, has a morning session, an afternoon session, and a lovely lunch in the Club House with great raffles and prizes provided by local businesses. 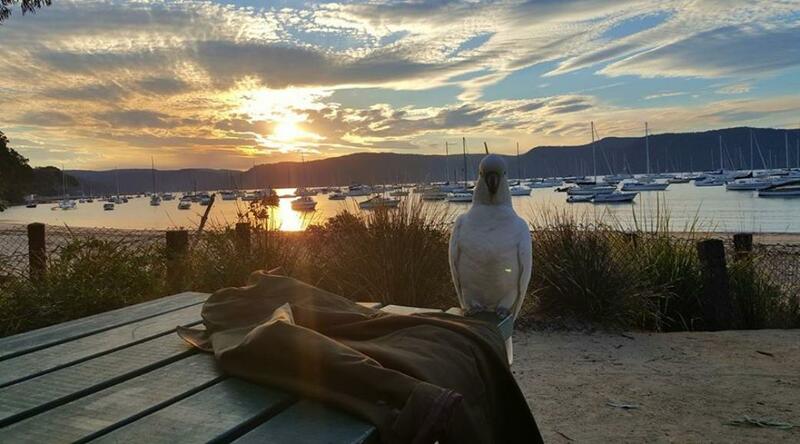 Member for Pittwater Rob Stokes announced On Friday (September 15) the NSW Government will provide $1 million to support Northern Beaches Council with the refurbishment of the Currawong Beach cottages. Northern Beaches Council, which manages Currawong State Park, is planning essential improvements to the heritage listed cottages to enhance their functionality, provide greater comfort for guests and ensure their longevity. “This is a wonderful injection of funds for one of the most iconic areas of our community,” Rob Stokes said today. 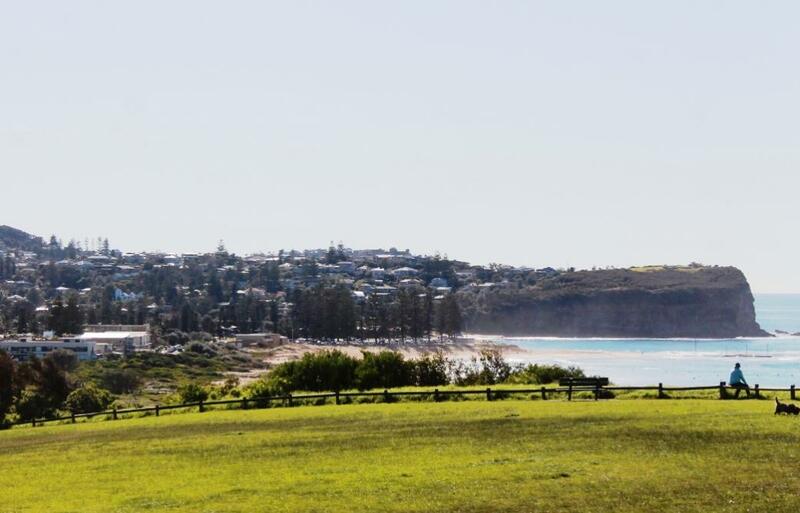 “Currawong holds a special place in the hearts of many local residents – so I’m delighted Northern Beaches Council is planning essential improvements that will enhance visitor opportunities and preserve its history. 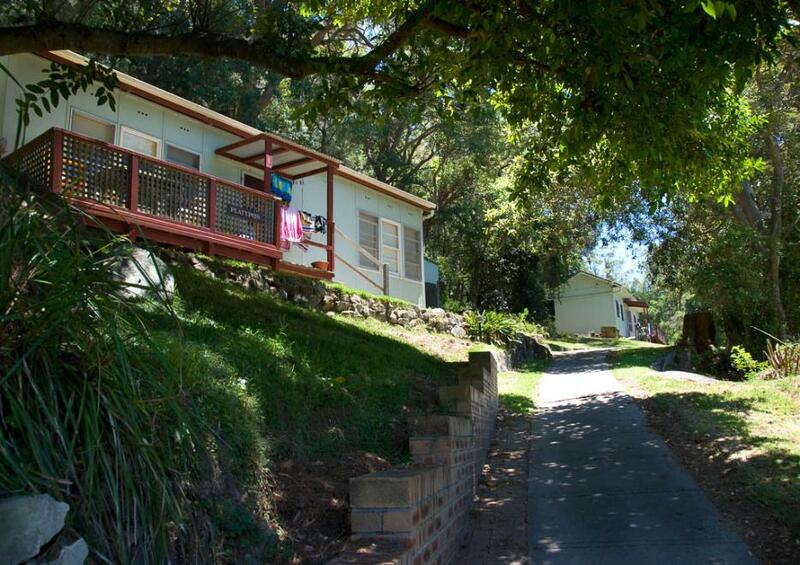 “Anyone that’s visited Currawong knows its key drawcards are its simplicity, tranquillity and pristine surrounds. “These refurbishments will stay true to this idea – and importantly will bring the cottages up to safer and modern standard, and make them more inviting and comfortable for guests. “I commend Friends of Currawong, Pittwater Environmental Foundation, Northern Beaches Council and the Chair of the Currawong State Park Advisory Board, Romilly Madew, for their ongoing support and guardianship of Currawong. “It’s fantastic the NSW Government is continuing to work with these groups to see necessary improvements introduced and the unique character of Currawong preserved,” Rob Stokes said. Midholme, the original Currawong homestead dating from 1911, was carefully restored in 2014 through collaboration between Council, Pittwater Environmental Foundation and Friends of Currawong. This next phase of Council’s works will focus on updating the 1950s cottages and the Lodge. Currawong was purchased by the NSW Government in 2011 following a hard-fought community campaign against residential subdivision plans by a private owner. The NSW Government announced the creation of Currawong State Park in 2015. 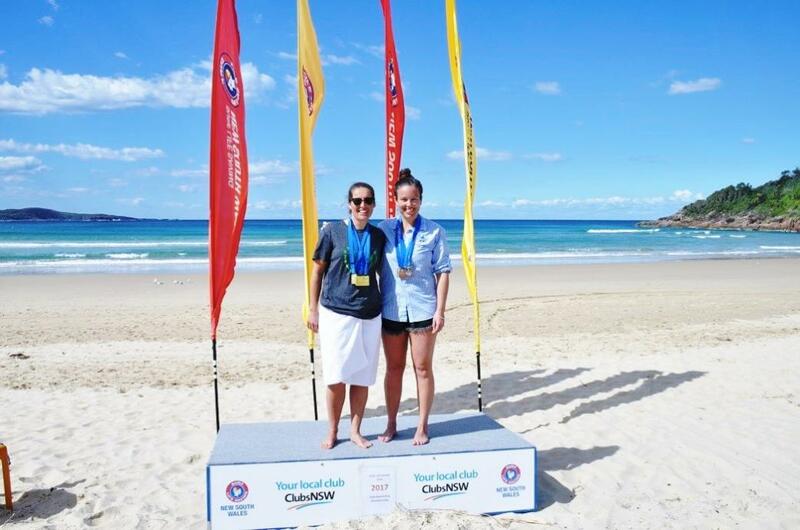 Sophie Wade (Palm Beach SLSC) had a competition to remember taking home four gold medals with victory in both the Open Long and Short Board events to go with victory in the 30-39 Female events. Sofie Boyd won U17's Female Title and silver in the Open Short Board. Mother Nature didn’t always co-operate but that didn’t stop the 100 competitors who braved the surf at the NSW Board Riding Championships last weekend from making the most of the challenging conditions as they eyed off state glory. Originally slated to be held at Birubi Point a powerful swell necessitated the event’s relocation to make the most of the more favourable conditions at One Mile Beach throughout the 3-day-competition. Open to competitors aged 12-70, the NSW Board Riding Championships was an opportunity for the best surfers within the Surf Life Saving movement to temporarily throw off their patrol uniforms and show off their skills on the board. Across the competition there were a number of outstanding performances in both the short board, and long board events. Palm Beach SLSC and Avalon Beach SLSC member Adriaan van der Wallen excelled at the 2017 NSW State SLSC Surfing Titles; Silver in the Open Longboard, Silver in the Masters Shortboard and Gold in Masters Longboard. 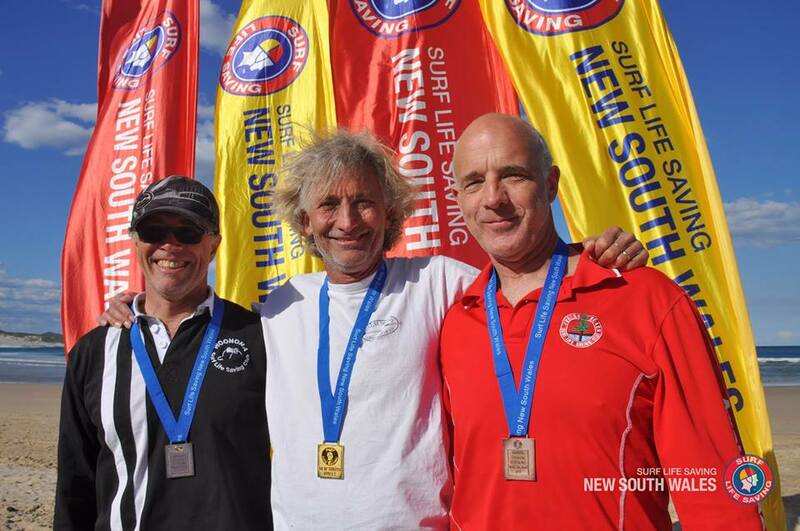 Avalon Beach SLSC's Grant Salmon Bronze in Masters Longboard. Congratulations to the two RPAYC Youth Development Program teams who took first and second over the weekend of September 9-10, 2017 at the Marineasses Match Racing Regatta sailed out of the Cruising Yacht Club Of Australia. Both teams fought their way to the finals after sailing strong round robins and after each winning their Semi Finals they versed each other in the finals. Well done to Clare Costanzo, Hannah Lanz, Annie Scholten, Emma May & Amy Lee who took first and Sarah Parker, Evelyn Foster, Emma Rankin, Ruby Scholten & Juliet Costanzo who placed second. Readers may also recognise some of these names as former Avalon Sailing Club members - the place many a younger sailor has cut their jib, or teeth! The Marinassess has been conducted annually since 1996, however with the increased participation of all women in sailing crews, a new format was implemented to assist with the broadening of women's sailing skills. In 2006 this very popular regatta took on a new format, becoming a match racing regatta for the graduates from the CYCA Youth Sailing Academy's Women's Summer Squad. In 2009 it was opened up to include a few of the visiting teams who are "downunder" as a lead-in event for what was then the HARKEN Women's Match Racing Regatta. The regatta is an opportunity for women sailors to participate in a fun but competitive match racing environment and for many of the competitors, it may be their first match racing regatta experience. 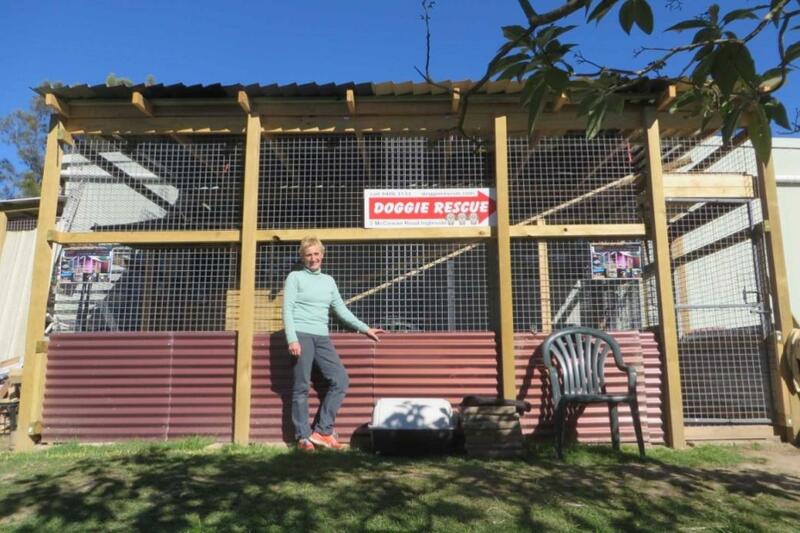 Yes, you read right – Monika Biernacki, the lady we all know for her unremitting efforts to find great homes for all dogs great or small, young or old, is also the one, supported by a great team, who has a concurrent policy of finding the best homes for those furry meowers. For those of us who love animals but don't have the time to take a pooch for a romp morning and night, and those who like having a furry companion with a bit of independence who will love you back to bits anyway, giving a home to these highly intelligent creatures may be the best thing you ever do - for yourself, and for one of these darlings. How long have you been housing cats at Ingleside? We’ve been keeping cats here since 2013. How do they get on with the dogs? They’re in a totally separate area. Part of our offices have become the cat rooms where they have little interconnecting cat walkways and all sorts of items to give them enjoyment. We also built an outdoor cat area so some time in the sun each day is part of their routine while keeping them apart from the wildlife in a totally enclosed space. How any cats do you have at Monika’s now? There are 10 at present here. The rest of our cats are at the Animal Cottage Hospital, which is our Veterinary practice. The Animal Cottage Hospital is at North Parramatta. This practice is where those animals that come into us needing attention receive whatever it is they need. There’s a bit of running back and forward involved for us but that’s what we do. We often take mum cats with newly born kittens and pregnant cats so they end up staying at the clinic to begin with. They will often whelp these at the clinic and then place the kittens up for adoption. Any cat that hasn’t found a home after a while we move across to here, where we house more of the adult cats.